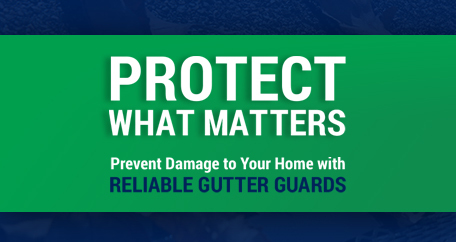 We build and distribute Amerimax gutters & roofing accessories through multiple facilities across the US. Amerimax is a division of OMnimax International, an international producer of aluminum, steel, vinyl, copper and fiberglass products for OEM, distributors, contractors and home centers in North America and Western Europe. Core Euramax International products include specialty coated coils, metal wall and roof systems, metal and vinyl rain-carrying systems, soffit and fascia, roofing accessories, aluminum and vinyl windows and doors, patio products, vinyl railing systems, aluminum recreational vehicle doors, windows and sidewalls, and aluminum bath and shower enclosures. Euramax International is headquartered in Norcross, Georgia. Click HERE for answer’s to Frequently Asked Questions regarding Amerimax gutters & roofing accessories or visit any of our Bibens Ace locations and speak to one of our helpful sales associates today! Coming out of a big storm can leave you a bit shaken. After you’ve collected your wits and made sure your family and pets are all okay, you’ll want to inspect your property for problems. Storms cause noticeable issues, like shattered windows, that are easy to detect with the naked eye. But there may be subtler damage, like missing shingles, which can result in serious issues over time if left unchecked. Here’s a quick list to get you out of high water fast. After a storm finally passes, your temptation may be to run outside immediately and start inspecting your property. However, the winds may have brought down power lines or other equipment that pose a risk to your safety if you’re not careful. Also use caution around standing flood water—it could be contaminated with gasoline, spilled chemicals, bacteria, and other dangerous pathogens. If it’s dark when you first hazard out, use a flashlight and proceed carefully. If you do come across a downed power line, or if you smell gas in your home, you’ll need to let the proper utilities know so that the problem can be fixed. In the event of a gas leak, also make sure that you shut off the main line, and stay with a friend or family member until it’s safe to return to your home. If you’ve had a particularly rough storm, there may be debris in your yard that can make it unsafe. Look for loose nails in your gutters and around the driveway so you don’t get an unpleasant surprise next time you drive your car. 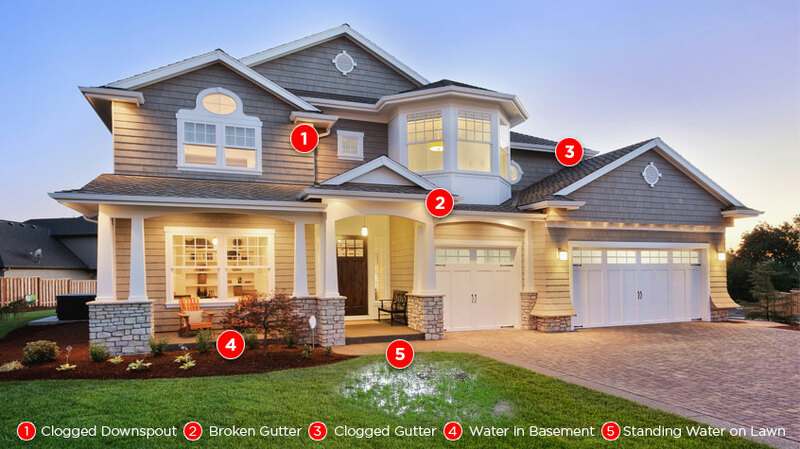 A missing shingle may not seem like a big deal—until your roof suddenly springs a leak. That’s why it’s imperative to take care of roof damage early before it becomes a much bigger problem. If you find loose shingles in your yard or gutters, call a professional. Roofers usually offer free inspections, so you can get an idea of what you’re dealing with. If you can tell there’s been a lot of damage, cover the area with a tarp to keep water from seeping in. Large hailstones can puncture vinyl siding, leaving holes that expose your home’s house wrap and leave you vulnerable to leaks. Inspect the siding on all four sides of your home, checking for cracks. Also, keep an eye out for dents that can affect your home’s visual appeal. If you need to make a large repair, like a roof replacement or new siding, your homeowner’s insurance may cover at least part of the cost. However, it’s a good idea to hold off on calling your insurance company until you’ve had a professional out to assess the damage. For instance, if you just need a few shingles replaced, you may not want to get your insurance involved at all. Go through your policy and make sure you know how long you have to file a claim after a storm. A damaging weather event often shows you exactly what people are made of. And while you may feel grateful for the help and assistance you receive from friends, family, and even strangers, not everyone rises to the occasion. In particular, large storms draw scam contractors who seek to profit off the increased demand for repair services. They charge cut-throat rates for a job, ask for cash up front, and either do the job shoddily, or leave before finishing the work. Either way, you’re left holding the bag. To make sure you don’t fall victim to scammers, don’t hire a business that works out of a van. Look for hires that have a local business office—that way, you know they won’t run for the hills after the project ends. And don’t pay for a full job up front—or in cash. With any luck, you’ll be damage-free and back to your usual household routine in no time!